» How to hack Super Smash Bros. 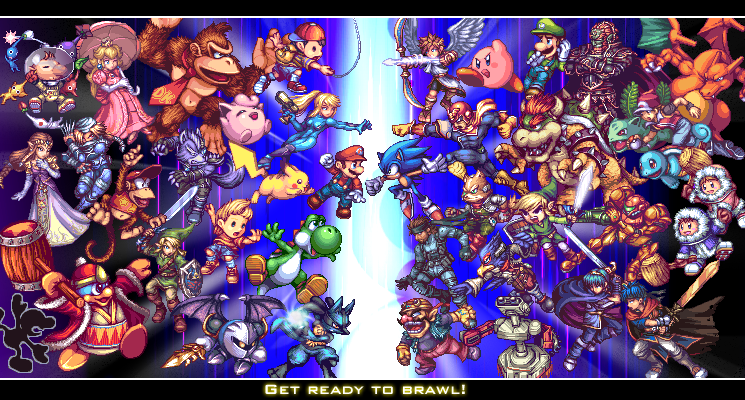 Brawl!!! » Would anyone like to brawl? » Official Brawl match finder! » WHY WASNT MASTER CHIEF IN BRAWL!!!!!!!!!! Well hello there People who still post on this Dead forum that we abandoned about 2 years ago. It is I One of the founders of Brawlroom and this forum, DarkKirby. Now, The reason none of us post here is because we've started this thingy called SuperMarathonBros where we Play games in a Marathon for Charity. How to hack Super Smash Bros. Brawl!!! Mhhmkay.... I seem to be hating most of my video games, which is why I want Sribblenauts REALLY bad. It actually looks pretty good. YOU GAIZ GOT TEH AWSUM SMILY!!! pokemon platinum goodness tomorow.... in america. NORTH america. ....also, a lot of the smileys are weird. What is your favorite Brawl song? What's your favorite Brawl song? I always ask this question on forums XD. Mine would have to be either Gourmet Race or Mute City.